The blog is now up to 157,853 (and counting) views! RUSSIA is ALL OVER my blog! I get hundreds of views from them a week! WHY ISN'T AMERICA ACTING ON THIS? This post has been in the hopper for a long time, proud to finally share it with everyone. This post lays out the history of cusp confinement and walks through EMC2 experiment. A set of approaches - field reverse configurations, polywells and the compact fusion reactor - attempt to use the plasmas magnetic properties to self-contain it. Cusp confinement is one such method which reduces plasma losses to the axes and edges of cusp. 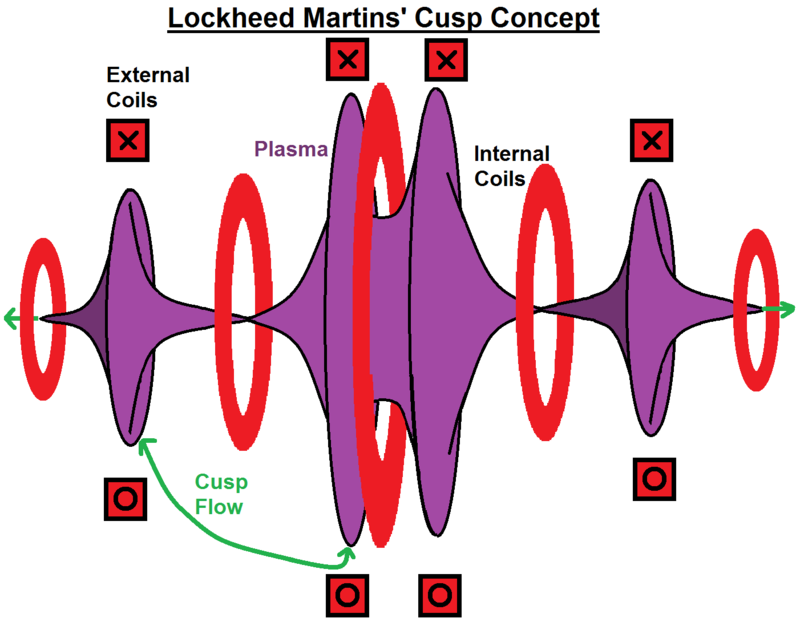 Ideally, it leads to a free-boundary plasma by plugging the cusps with a high pressure plasma, forming a field-free region. EMC2 recently provided data of such an effect. Their new polywell is safer, more efficient and reaches a magnetic density 1.5 times higher than WB6. High pressure carbon and hydrogen plasma was fired into this using JXB emitters. These emitters are modeled, along with the electron guns and trace air in the chamber. The post ends with a list of questions that need to be answered and appeal for funding.